SWR in this Grabow Royalton bulldog. How do you like the Royalton? I've been trying to get a B&M here to get one in so that I can put an eye on it before buying, but so far they've not paid any attention to my wishes. I love it! It's a good smoker, and it's nice lookin' to boot! The only complaint I have is with the stem...it's bloody hard, no give to it whatsoever. But that doesn't keep me from smokin' it! My wife & I are just back home from a weekend trip and since I couldn't get on the board with my phone I've just seen this. 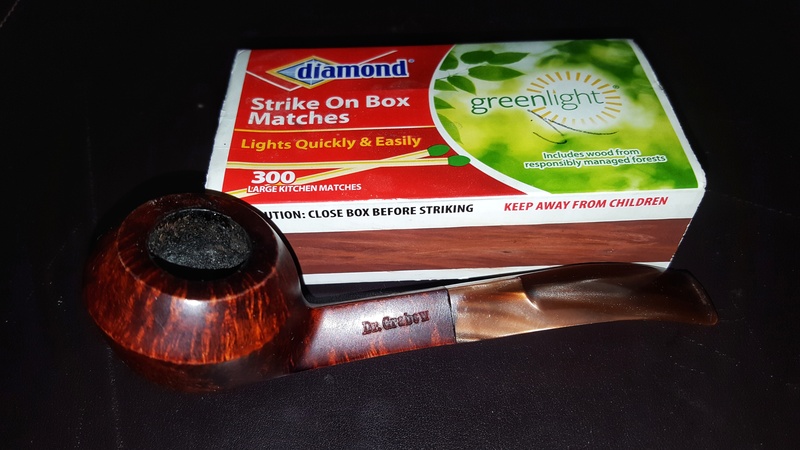 I have a straight stem Royalton that's a good smoker and since I don't clench or chew on the stem the material it's made from is of no real importance. I think I'll shake the Piggy Bank again & just order one direct from Dr. G. Thanks for the report. Mug of Stout Brewed Ceylon . 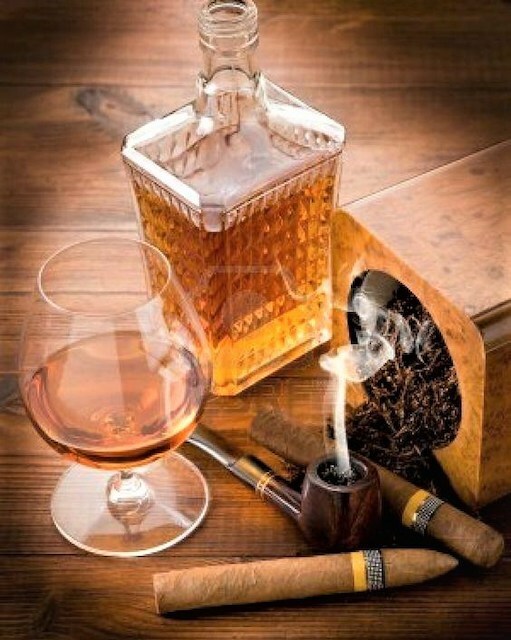 . . Few Puffs from a Bowl of Special Virginia / Three Sails Mix . . .Falcon w / Bantam Algiers. Swelling has gone down to the point where I am trying to get acquainted with my new temporary upper front teeth. Stiches likely to come out tomorrow. I am glad to see you at the point where you can take a few puffs at least. Keep healing! Church this morning with Dear Sweetie, then out for Mexican food with the Old Folks. 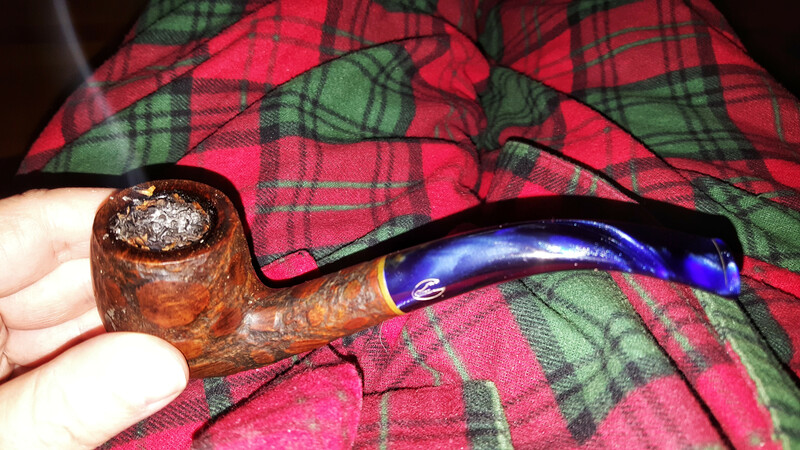 In the den now, feet up, this Sav Blue Alligator burning "Hair O' the Dog" (OJK/BLWB). Club soda on the side. We are getting blizzard(ish) snow here. The drive home was painfully slow. I saw a half dozen emergency vehicles and NO plows. This is not a good sign. That's awesome, sir! 11 grandkids! You're a rich man. 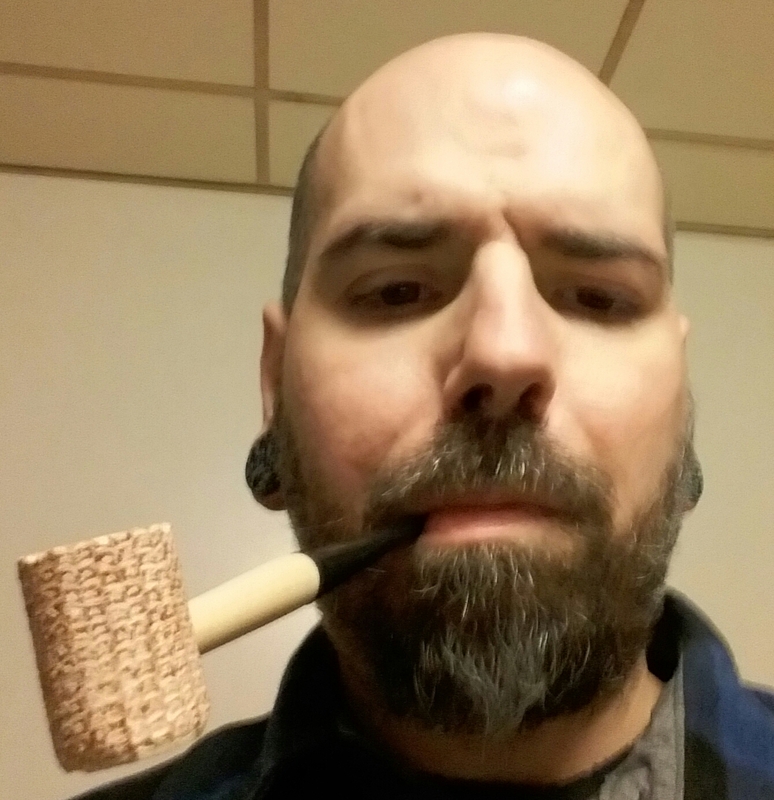 Few more puffs from the same pipe, et al as before . . . Diet Soda.